Big data continues to be big in China's financial industry as China's Qihoo 360 moves into the segment with a data-driven finance product of its own. Chairman of ICBC welcomes fintech regs. No really? 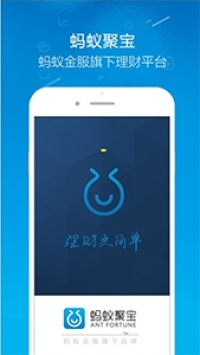 There's something to be said for the refreshing marketing on Ant Financial's new online wealth management app "Ant Fortune." Whether or not it will actually make a fortune for users is a bit unclear, but you can be sure Alibaba will do well out of it. Online loans, payments, and banking - nearly every segment of the banking industry has been affected by China's rapidly growing internet finance industry. For the past two years, it has done so without much regulatory oversight or intervention. That looks like it will change soon. Is MYBank’s self-reliance on in-house cloud feeding the de-IOE (IBM, Oracle, EMC) trend? Since Beijing became more cautious on the use of foreign technology in the banking sector, Chinese banks have been intensely trying to figure out what to do next. One bank is not waiting and it's no surprise that the soon-to-launched Alibaba-affiliated internet private bank MYbank is moving in lockstep with the government policy as well as develop its own long-term technology strategy. MYbank announced it will be using an in-house cloud computing system instead of products from IBM, Oracle and EMC (IOE). A new partnership between CreditEase and Wellington has changed the rules with an incredibly easy way for the increasingly wealthy middle-class to invest abroad. According to data from the People's Bank of China, by the end of 2014 China had 614,900 ATMs in operation across the country, up 18.25% from 2013. While certainly a rapid growth, it was actually slower than a year ago when the number of networked ATMs increased by 25.12%, and is significantly lower than its peak growth of 36.18% in 2008. P2P woes continue in China as illegal fundraising through P2P platforms grew in both 2014 and 2015. When will the government intervene? How close is China's banking industry to becoming a utility? Accenture recently released its Accenture North America Consumer Digital Banking Survey for 2015. One of the findings was that banks run the risk of being seen as a 'utility' to their customers. Could the same thing happen in China?